Everyone is buzzing with the sights and sounds of spring. 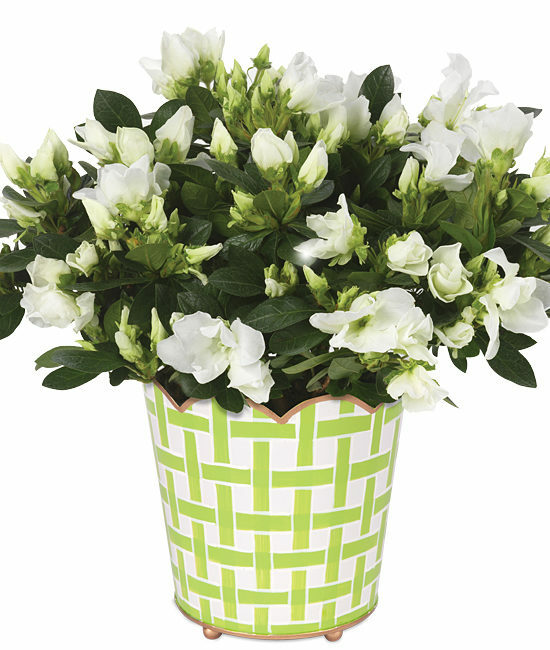 Our newest azalea plant offers all of this and more, the lively and lush plant abundantly blooming with white blossoms inside our hand-painted cachepot with hand-painted green garden trellis design. 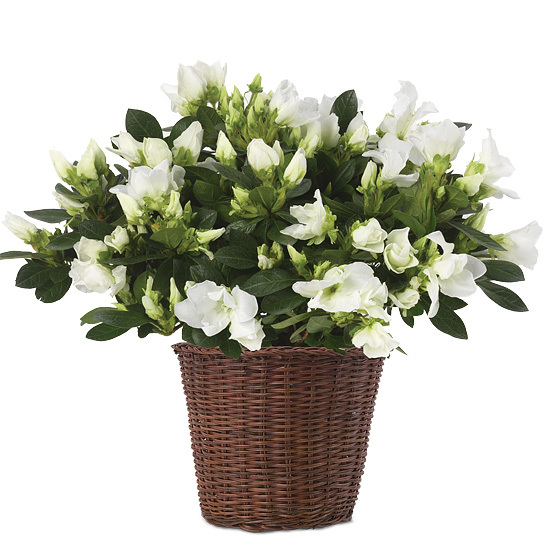 The variety known as “Honesty” will arrive in bud and bloom so your recipient can see for herself all the bliss this beauty has in store. Place your plant in an area that receives filtered sunlight. Water when soil is dry to the touch. Be sure to allow for proper drainage. Some humidity is desirable and can be obtained by an occasional misting. 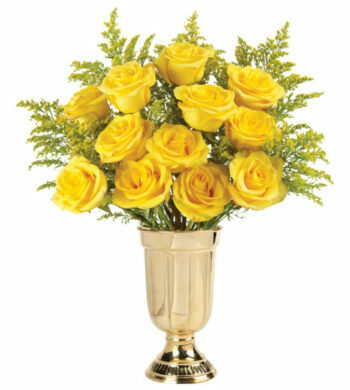 Remove spent blossoms and yellowing leaves. Prune the plant occasionally to maintain a good shape. You may wish to feed lightly from April through July with an acid-type plant food at half the recommended strength.